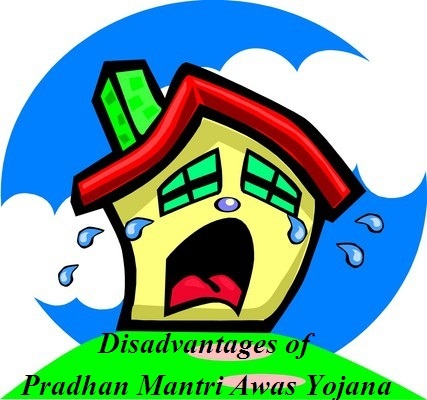 Pradhan Mantri Awas Yojana by Mr. Narendra Modi has become the talk of the town these days. With huge subsidy on home loans and increased tenure has made the yojana successful even before it gets accelerated. As all the news and article say the yojana is definitely a thumb up project initiated by the Government of India. Briefly the rate of subsidy it promises has kind of forced people to apply for the PMAY. However the most promising and biggest housing project till date PMAY has seen a few loopholes that may harm the economically backward groups. Previously there were quite a few number of housing development projects have been initiated by the government of India like PMAY and they have also seen shortfalls as well. Unlike the other projects PMAY has started off well. Some of the states have successfully managed to get sanctioned while others are still waiting for a green signal. According to the PMAY Credit Linked guidelines the interest subsidy of 6.5% will be given to the people fall under backward classes or economically weaker group. But the subsidy is not for all the people living under these groups. Government has set a limit of 6 lakhs rupees loan to get this subsidy. That means the interest subsidy will be given to the loan amount of 6 lakhs only. As PMAY terms say, people living under economically backward class will get only 323 sq. ft. Carpet area. If the area goes beyond the limit then they will not be eligible to take any advantage of the yojana. The lower income group, on the other, will get a little better space of 700 sq. ft.
As the yojana says the applicant will get tenure of 15 years to repay the loan. But the time will be granted only if the loan amount is 6 lakhs or less. If your loan amount is more than 6 lakhs then the tenure will be less than 15 years. The subsidised amount will be deducted from the principal amount and beneficiary will have to pay EMI on the reduced loan amount. But in case if the construction or reconstruction of the said house is stalled for any reason like natural disaster and such central government will recover the subsidy from beneficiary’s account. That means the construction work should not be stopped in any circumstances not even during Tsunami or Earthquake.